" Richard Hickox draws performances both brilliant and warmly persuasive from the LSO, with Moray Welsh a movingly expressive soloist." "Moray Welsh stepped out from his place at the front of the cellos to conjure up the errant knight's exploits, and was especially moving in his death scene." "Moray Welsh produced a wonderful tone, combined with a sense of passionate conviction." "Moray Welsh brought total conviction to the death of Don Quixote, as well as subtle and vibrant musicianship." 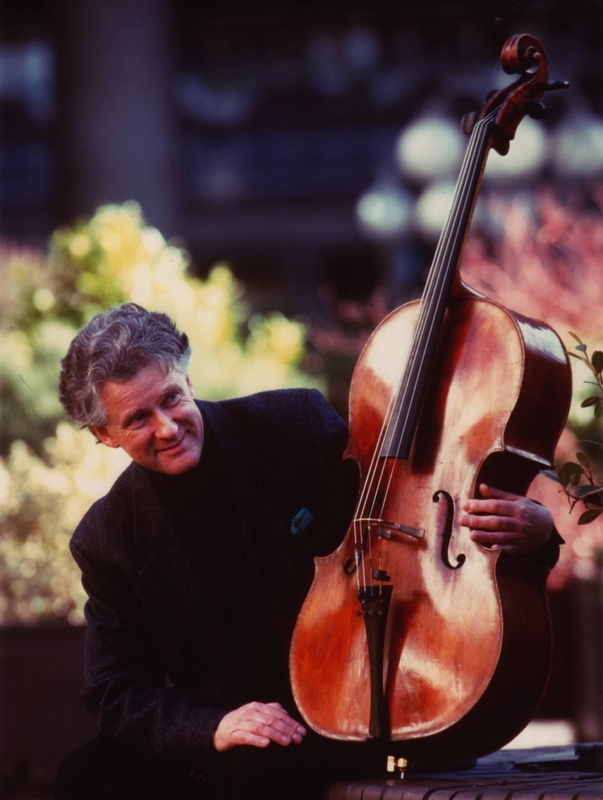 "The solo cellist, Moray Welsh, will remain longer in the memory than anything else. Moray Welsh proved himself a truly top class interpreter, whose highly structured musicianship and luminous tone, which is rarely heard in this intensity, totally caprured the audience." "Moray Welsh played Walton's Cello Concerto with the utmost fluency, refinement and charm - an eloquent performance." " You won't be disappointed if you are lucky enough to hear Elgar's Cello Concerto played by Moray Welsh. I doubt whether it would be possible to draw these tones more distinctly or with greater skill than did Moray Welsh. In the art of this British cellist, a versatile and never failing technique is combined with a perfect ability to interpret the music." "An exceptionel interpretation of the solo part by Moray Welsh, a big-boned performance of powerful physical and emotional presence, which stretched, relaxed and tightened with the naturalness of a living organism." "Moray Welsh's incisively pointed, strongly-bowed patterning of every figuration, his refined chamber-music making with the woodwind, the variety of voice within each cantabile line, are only random examples of an exquisitely imagined and executed performance." " A cellist of innate nobility."